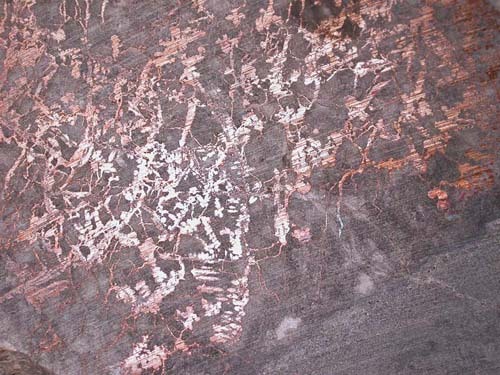 A rich area of a silver vein showing dendritic silver interwoven with fine veinlets of native silver in calcite. 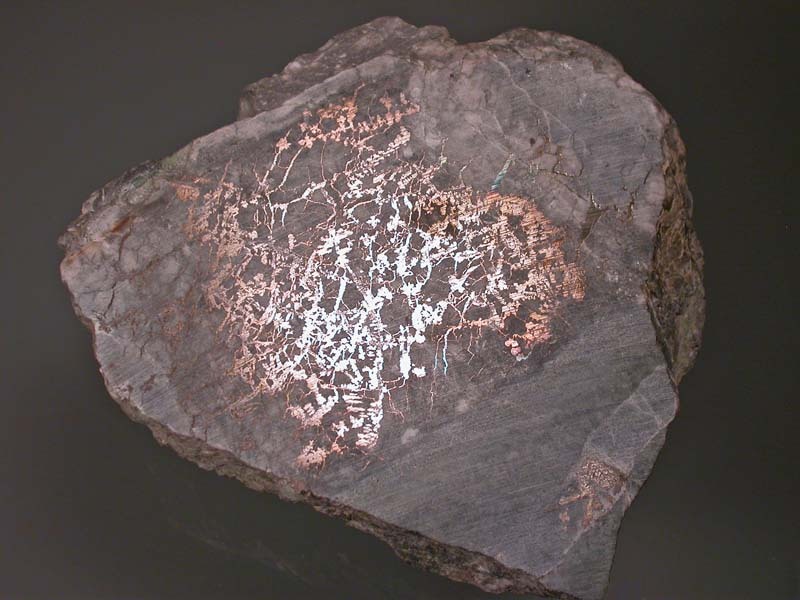 The arsenides in this specimen are nickel arsenides considering the green annabergite on the weathered side of the piece. Looks great! Heavy!